I hit a cycle a few years back that was other-worldly. Fueled by inspiration and embarrassing amounts of caffeine (mind the word “feine” in the coffee reference), I found myself sleeping less as the hazing hours of 11pm, 12am, and 1am took on a new posture for me. These twilight sparkling hours were my most creatively productive pockets of time. Until, I started getting sick. Nothing major. Colds, really. Annoying sniffles and coughs that wouldn’t break up, and brain fog. Lots and lots of brain fog. Like, I’d be standing in my living room with a remote control in one hand and a cellphone in the other and I’d realize that I didn’t know what I was about to do with either of those mechanisms or how long I’d been standing there. What happened!? What made life feel like a mucous-ey, miserable haze!? Sleep. Or the lack thereof. 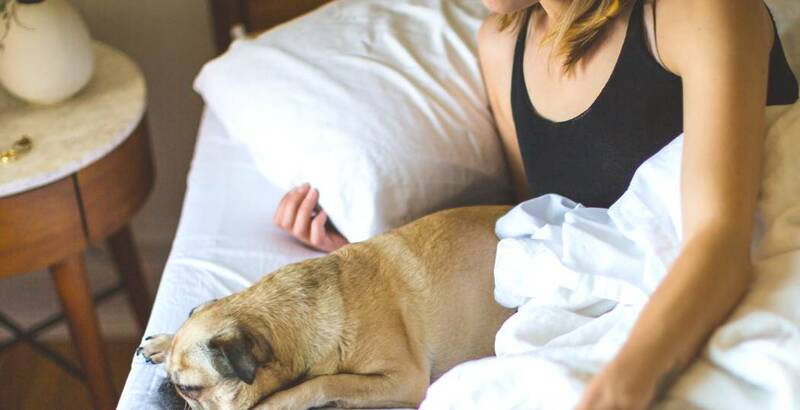 Many of us treat sleep like an optional topping on a sundae, and I want to shed some light on the topic that comes as natural as breathing, and hunger ... unless it doesn’t. And I’m not talking “sleep with the tv on” or dream-state sleep; I'm talking solid R.E.M. ROCK solid sleep. So WHY is sleep so important? Why did God even design our bodies to need a total shut-down? And how can we cultivate good sleep hygiene? So if sleep is the natural process by which the body slows down enough to engage in active repair, healing and rejuvenation, we must ask the question: “What happens when we don’t sleep?” If sleep is the window of time that the body repairs, it must also stand to be true that without sleep, our bodies do not repair enough to function at full capacity while we are awake. We are more vulnerable to virus, bacteria, stress build-up, mood disorders, and second-rate work. How do we get a full 8 hours of sleep in our modern day world? What does good sleep hygiene even look like? Let's dive in! Turn off electronic devices 1 hour before bed-time. According to a study led by Professor Charles Czeisler of Harvard Medical School, it was found that those who read electronic books before they went to bed took longer to get to sleep, had reduced levels of melatonin (the hormone that regulates the body's internal body clock) and were less alert in the morning. Many people have chosen to read via tech-devices, but studies show that this practice increases neuroactivity, making it more challenging to fall asleep. Switch out your caffeinated/high sugar bevvies with herbal teas (or straight water) after 3pm. Caffeine metabolizes at different rates in individual bodies- but a safe rule of thumb is to cut back before 3pm. Non-caffeinated teas high in valerian root are especially helpful for promoting rest. Don’t eat after 8pm. Quick nutritional punches or sugar rushes will tell your systems that it’s still time to run at full speed. If you feel the need for something sweet late in the evening, try a few shots of organic cherry juice- which is shown to increase melatonin levels and communicate with your body that it’s time to rest. Diffuse essential oils in your bedroom. Studies show that diffusing essential oils like lavender, cedarwood, sandalwood, roman chamomile or patchouli can calm the nervous system and trigger the “shutting down” process. Further, those who diffuse thru the night tend to stay asleep longer and rest deeper. My personal favorite blend of night-time oils is lavender and wild orange combined, and Vetiver Oil is great on the left toe. Whether you believe in reflexology or not, this practice has been used for years to help support the body’s natural sleep process by directing this oil’s nerve-calming properties directly to the frontal lobes of the brain. It's also helpful for those who suffer from mind-chatter and have a tough time falling asleep because of all the “list making." Take a soak. Hydrotherapy is an easy at home practice where submerging your body in warm water can ease pain and comfort tension. It helps your body relax and release stress hormones like cortisol that can build up into tight knots throughout the body. Throw in a ½ cup epsom salts for muscle relaxation. Nourishing our body through sleep support has a domino effect on our overall health and productivity. When we start to give our body the rest that it needs to repair itself and function optimally, we will fight off sickness faster, have improved cognitive ability, and feel happier. So sleep well, tonight darlings. Tomorrow is going to need all of your heart and mind.